BTO Bird Ringing - 'Demog Blog': What happened to all the Jays? 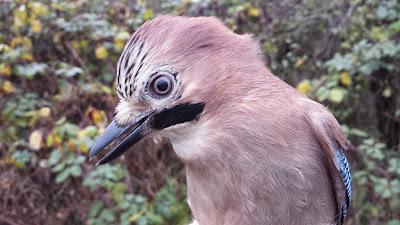 Last year our BTO ringers ringed 506 Jays in the Britain & Ireland (c700 is the five year average) and as Jays can live to a maximum of 16 years old, there are a good number of ringed Jays in the wild population. Being very clever birds, they can provide a challenge to ringers to catch them but once caught they deserve respect as they are incredibly powerful birds with very sharp claws and beaks. 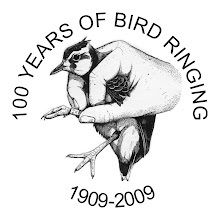 Once in the ringers hands the birds are ringed, aged, and several measurements taken to record the condition the bird and if any moult or breeding is occurring. Thankfully 89% of the reports of ringed Jays come from our ringers by re-catching them, months or even years later. This information is vital to understanding the movements, behaviour and survival of this beautiful bird. Ringed Jays are also found by non-ringers, which usually report them through www.ring.ac website. 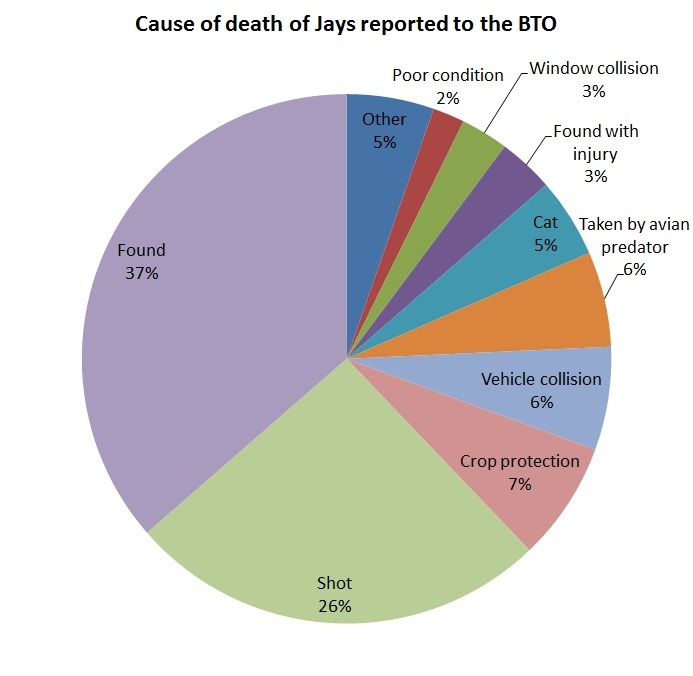 Most of these birds are just found dead with no cause of death given, however a large proportion are legally shot/trapped with the aim of reducing their impact on other species nesting attempts. 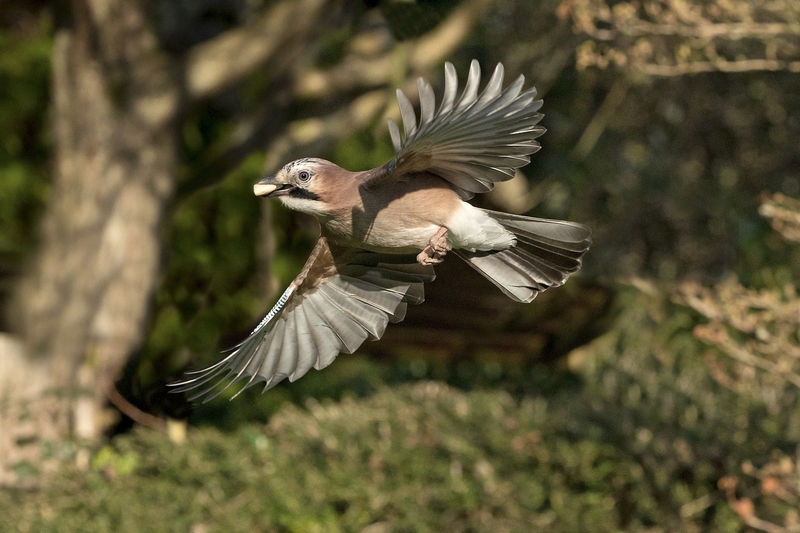 The Jay is not without its own predators however, as 6% of ringed birds reported to the BTO have been taken by a predator. Even the Peregrine is a little partial to the odd Jay as a recent BTO Demog Blog post can testify.